With the Bank of Canada maintaining its low overnight rate of 1 percent for the foreseeable future, lenders nationwide appear to be falling over themselves in an effort to sell home loans. In such a frenzied financial atmosphere, the Canadian Mortgage and Housing Corporation has released some guidelines to help consumers protect themselves when buying or refinancing a mortgage. Real estate can be a lucrative investment, but CMHC warns consumers can sometimes get in trouble if they misrepresent information when buying or refinancing a mortgage. Not only could they be on the hook for any shortfalls when the property is sold, there could be legal consequences if the information is willfully misrepresented. Always know who you're doing business with, CMHC says. 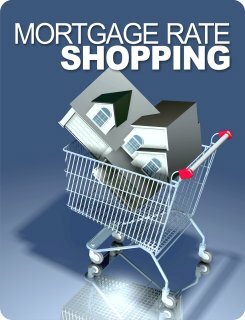 Banks, credit unions and licensed mortgage brokers are all excellent resources for information on buying and selling a home. Individuals who approach potential homebuyers with too-good-to-be-true deals should be dealt with cautiously or not at all. If possible, consult with your own lawyer on legal issues. Private attorneys can help sort out title insurance or other forms of protection in the event a real estate deal goes wrong. They can also be relied upon to hold deposits "in trust," CMHC says. Check out the sales history of the property you intend to purchase to determine if any other parties have lingering financial interests in it. In addition to appraisal and inspection, request a land title search. Never let your personal information be used for a mortgage unless you fully intend to purchase and use the property yourself. You could find yourself stuck with an expensive mortgage for a property you don't want. Be sure to shred or otherwise destroy documents with personal information to prevent identity theft. Constantly reviewing financial information such as bank statements or credit card bills is the best way to make sure no one is using your credit without your permission, according to CMHC. By following these mortgage buying best practices, homebuyers can safely take advantage of current low mortgage rates to land a great property. BMO Bank of Montreal recently lowered the mortgage rate for its five-year fixed-rate product from 3.49 percent to 2.99 percent, one of the lowest rates for a mortgage of its kind. Toronto-Dominion, Royal Bank of Canada and Canadian Imperial Bank of Commerce all lowered their four-year fixed mortgages to 2.99 percent, as well. This entry was posted in Residential Mortgages and tagged home buyers, home loans, mortgage rates, real estate by The Super Broker. Bookmark the permalink.